Allergens such as dust, pollens or mould, can cause respiratory issues, particularly in sensitive or young horses. 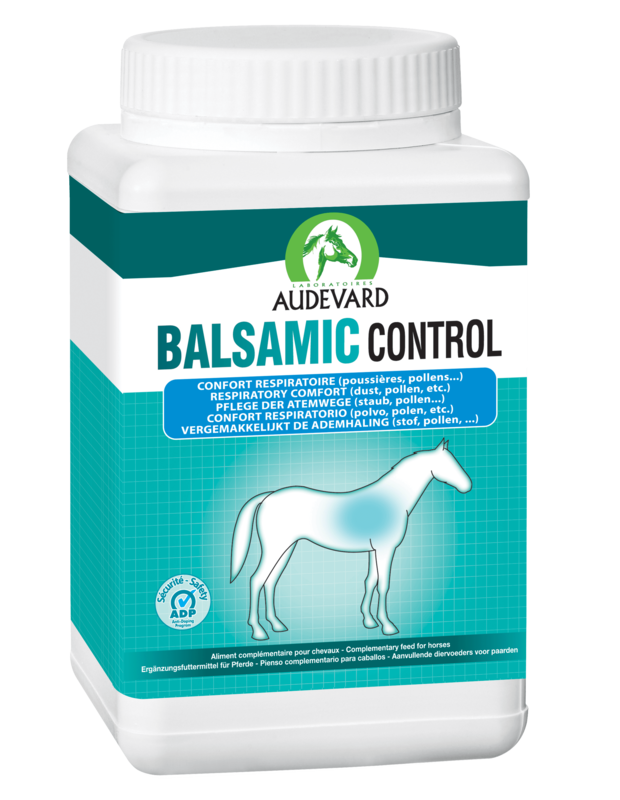 Balsamic Control is designed to support these horses, with it's key active ingredients of Nigella sativa; Eucalyptus; Lemon & Garlic. Feeding Instructions- Give 15g morning & evening.